How often do you watch an online video and feel disconnected and un-interested by the video you’re watching? Actually, hardly ever. As regularly mentioned to anyone in online communications, engagement time is becoming shorter and shorter. If content isn’t engaging, there’s a high chance viewers simply won’t watch, read or look at it. With this in mind, how we create more engaging content. For me it’s about capitalising on people’s genuine passions and knowledge and engaging them in conversation. Shane Meadows, one of my hero directors in the real world of film, uses this by allowing his actors to improvise the scenes on set. This allows the actors to play out the most emotive and heart wrenching scenes known in cinema. So how can we use a little bit of Shane in the world of branded content, corporate and charity communications? For me it’s about allowing our interviewees to talk. A few well thought out questions will capture far more useful content than a script that’s taken days to write, approve and hours of filming on set. So what questions should I ask in an interview? This obviously depends on the subject and the content being produced. Obviously, only ask open-ended questions. Only ask questions you’re genuinely interested in hearing the answer from and never stop asking questions if there’s still more of their story you want to hear. I always treat questions pre-written before an interview as a guide. As part of my pre-filming brief, I remind the people I’m working with them to produce the best interview we can capture. I ask them to try and respond with my question in their answer but I don’t get too hung up on this. I avoid stopping an interview too often to remind people to do this as you need to let them get a flow. I also like to have a clear idea of the purpose of the piece and what the key messages are going to be. It’s very hard to add this in once an interview has finished. Here are a few example questions I tend to ask. 1. Who, where, what? - Who are you, where are we and what’s going on? 4. What is this and what’s the purpose of this? 5. In a sentence, sum up what it is? 6. And if people want to find out more, where can they go? 7. Have you got anything else you’d like to add about… ? These questions form a basis of extracting the content required. It will tell a story, provide soundbites and allow the interviewee a time to freeform which is where you’ll get your best content from. Of course this won’t tell the whole story. For that, you need to pay attention. Ask relevant questions when required. Get the interviewee talking to you in a relaxed manor and do your best to help them forget about the camera. I always like to avoid using a script. Bullet points can work but as soon as an interviewee has to start thinking about what they have to say next, they can lose their train of thought. 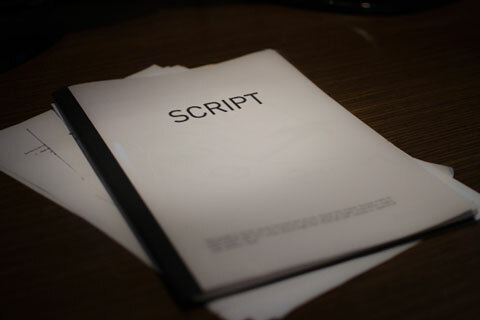 The only way a script can work, is if your talent is willing to learn it. And by learn it, I mean spend days ingraining it into their mind. Autocue - I have hatred of autocue but sometimes it has to be done. I always recommend that someone who’s never used one before, shouldn’t try using one on a shoot. It’s so time consuming, frustrating for everyone on set and you’ll never get a convincing performance unless the talent has been trained well. This is the hardest one to avoid, but I always try to keep pressure in front of the camera to a minimum. I try to make my interviewees feel relaxed by chatting to them beforehand and will give them gentle encouragement to assure them that they’re doing well. So this is just my two pennies worth from a decade of doing this. I’m always open to change though so if you’ve got any tips that I’ve missed, hit me up!